Jimmy The Jam McDevitt (Griffin) is a Los Angeles conman getting into all sorts of trouble. He is on the run from his ex-fiancé aka Psycho (MoNique) who he stood up at the altar and is dodging his landlord because he can't pay his rent. Jimmy enters a poetry contest sponsored by a town in Ireland with the hopes of escaping his troubles. The small Irish town is controlled by a greedy mogul and the only thing he does not control is the local pub. The villagers are unable to make the payments to support the pub and decide to offer a poetry contest with a small entry fee to raise the money needed to keep the pub. Jimmy wins by plagiarizing a rap song and submitting it to the locals. 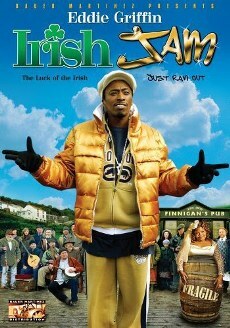 As the winner of the contest Jimmy travels to Ireland to become a first time local pub owner. Maureen (Anna Friel), a beauty with the voice of an angel, entertains pub patrons with Irish songs and soon finds herself falling for Jimmy.